Samsung Galaxy J7 Perx Price, Review, Deals, Cost, & Sales! 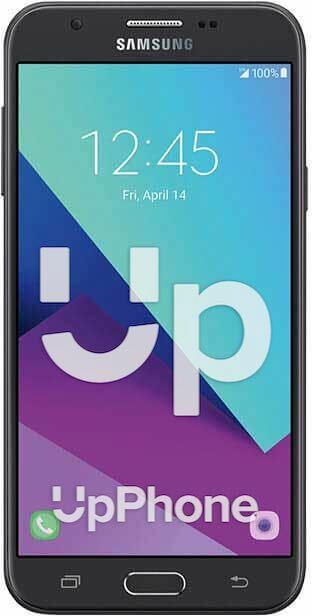 Home / Compare Cell Phones / Samsung Galaxy J7 Perx Price, Review, Deals, Cost, & Sales! The Galaxy J7 Perx is one of Samsung's mid-range phone equipped with a 5.5" TFT display screen, packs a pretty decent 3,300 mAh battery and comes with a number of hefty features you'll love in a smartphone. This device comes with a 5.5" TFT screen with 720 x 1280 pixels and has a pixel density of 267 PPI. It's sibling, the Samsung Galaxy J7 Prime has the same 5.5" PLS TFT screen with a much higher 1080 x 1920 pixels and has a pixel density of 401 PPI. The J7 Perx has an 8 MP main camera with autofocus and can capture HD quality videos @ 30fps. It also has a 5 MP secondary camera which is not bad for a mid-range phone. For the storage, this phone has a 16 GB internal space with support for expandable storage of up to 128 GB via microSD. While the Galaxy J Prime comes in with 16/32 GB internal drive and supports up to 256 GB expandable memory via microSD. The Galaxy J7 Perx has a single side-firing speaker located at the top right side of the phone. The quality is good, loud and is a nice spot for a speaker because you can still hear it clearly even when it is on its back. This device runs on Qualcomm Snapdragon 625 8953 with Octa-core, 2200 MHz, ARM Cortex-A53, 64-bit, 14 nm. Performance wise, it is good and is well capable of handling a number of applications with minimal lag times. The Galaxy J7 Prime, on the other hand, has the Exynos 7870 Octa with Octa-core 1.6 GHz Cortex-A53. Powering the J7 Perx is a solid 3,300 mAh battery that can hold a conversation for up to 40 hours over 3G, 18 hours web surfing via wifi and video playback for 17 hours. Considering that is has a 5.5" screen, its battery is enough to last a day for the average user. The Galaxy J7 is a mid-range phone with nice features and specs. It has a big battery for a phone with a 5.5" screen display. It has a large 5.5" TFT display screen. The rear camera is equipped with a LED flash. It has a single side-firing speaker.